You know that you need to become more self-reliant and prepare for your family’s survival in case disaster strikes, but you simply do not have the time or skills to become a full-time prepper. 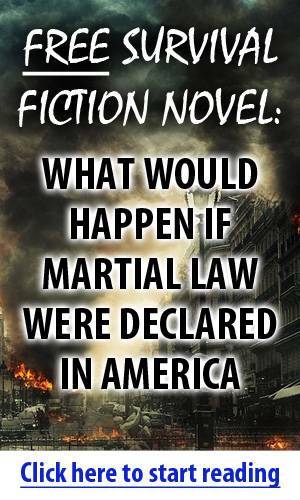 Perhaps you want to be a full-time prepper to increase the odds of your family’s survival, but do not want preparedness planning to rule your lives. Maybe it is location that is deterring you from becoming a full-time homesteader or prepper. Many folks who live in urban or suburban areas falsely believe they cannot reap the benefits of living a homesteading and prepared lifestyle. While it is true, those Americans who are not fortunate enough to live in a rural area simply do not have the space to operate a full-scale homestead nor can they turn their back acreage into a shooting range, but that does not mean non-country residents cannot become far more self-reliant and engage in sustainable practices that will help them survive a SHTF event. Even rural small town folks have lost some of the traditional skills and habits that were once passed down on a generational basis and also most work within some space constraints. 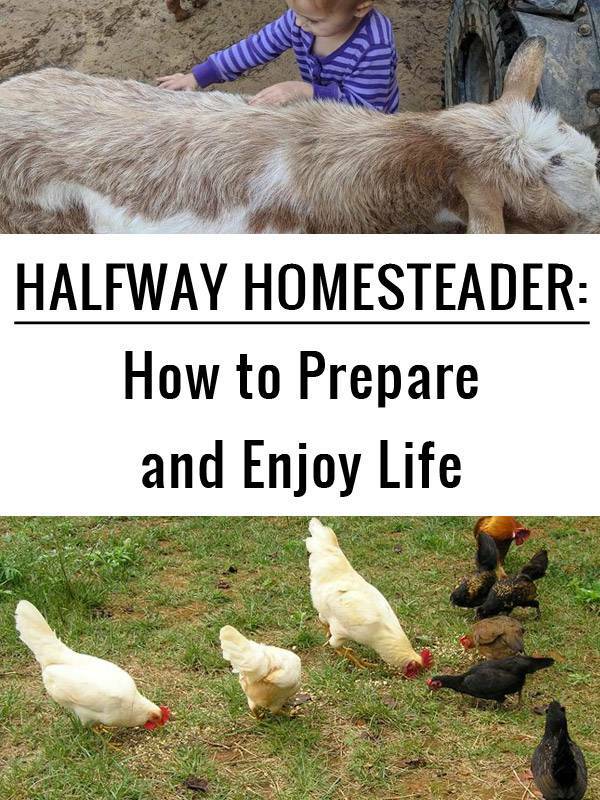 Before we can move on to the how to become a “halfway homesteader” portion of this guide, we first need to address some common misconceptions about prepping and homesteading. Most of us prepping and homesteading types, even the ones who live on a 56-acre survival homestead, do not live in fear or the apocalypse, devote ourselves to survival drills around the clock, nor do we refuse to ever venture more than a few miles from home. We go on vacations – but we go prepared to survive in place or get ourselves back home. We are largely college educated professionals or hard-working middle class Americans who pay attention to the news but do not wear tinfoil hats while watching it each evening. 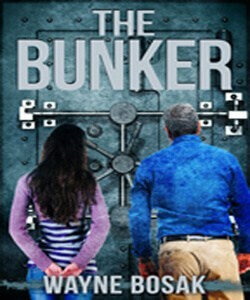 Our children do not sleep in underground bunkers “just in case” they may or may not be educated at home, but engage with the non-prepper world by playing on sports teams, at church, at 4-H, and in scouting programs. We are largely not members of extremist groups. We are by and large, vigorous supporters of the Second Amendment and even though we own copious amounts of guns, we don’t generally feel the need to pack rifles into Walmart when we go Christmas shopping. Now that we have all of that nonsense out of the way, let’s figure out how you can help protect yourself and your loved ones without going broke or feeling like you have to purchase a wardrobe of camo and pack around a 100-pound emergency bag on your back just to go check the mailbox. Grab a pad and pencil and get ready to brainstorm. Critiquing what you can do, want to do, have time to do, and are eager/willing to learn how to guide, will form the basis of your homesteading and self-reliance efforts. No one is going to be peeking over your shoulder to look at your what you are writing, so answer them as honestly as humanly possible – the lives of your loved ones might just depend upon it. 1. How much time each week are you willing to spend homesteading and/or prepping? 2. How much money can you dedicate to homesteading and prepping each payday or every month? 3. How much space do you have indoors to cultivate food? 4. How much space outdoors do you have to grow and raise food? Do a little soul searching and realistically gauge your skills and the level of importance you place on the following activities and skills based on a scale of 1 to 10 – with 10 being the highest. This table was created to showcase some of the foundational aspects of homesteading and prepping, and should not be considered an exhaustive list. It will, however, give you a jumping off point to help you get started reviewing both what aspects of the self-reliance lifestyle your are interested in adopting in your home. Now that you are armed with a list and have thought indepthly about your skill set, time constraints, budget, and self-reliance desires, it is time to get to work. Ok, you don’t want to, or can’t be a full-time homesteader who grows all of his or her own groceries, but you can you the space, time, and money you have to cultivate and stockpile food to feed yourself and your family during a crisis big or small. Local and regional disasters, especially natural disasters, can knock out power and close both roads and stores for days to weeks – sometimes even months in remote areas. There is absolutely nothing tinfoil hat-like about not wanting to see your children go hungry. You should grow some of your own groceries, even if you only have window sills and a tiny balcony to use or cultivation. Have a wall that gets great sun? Use vertical planners to cultivate food inside your home – an edible decoration, what could be better than that! Vertical gardening containers could also be mounted to your house, garage, shed, or privacy fence. Gardening is a whole lot of work, there is ground to be tilled, weeds to be pulled, and insects to keep at bay. You can deray a lot of the work tending crops requires by using container and vertical gardening methods. If you do not have a lot of time to devote to your plants, purchase automatic watering “bulbs” that slide down into the dirt in the growing container pots. In many cases, a 5-gallon windowsill planter is all you will need space for in order to ensure there will always be food in the house, even if tractor-trailer are no longer delivery to the corner grocery store. You can also plant crops that have a high yield and require little to no human intervention in order to thrive. Fruit Trees – Once you plant the trees and stockpile the means to keep the Japanese beetles away, you can basically sit back and relax until it is time to pick the fruit. I highly recommend planting garlic around the base of fruit trees to deter the beetles. If domestic pets cannot access the fruit trees, you can also sprinkle some Borax around the base area to deter all types of insects. Edible Plants – Rip out all of the ornamental plants growing around your home and replace them with edible and medicinal varieties. You can also use this same area to grow crops like lettuce, carrots, cucumbers, broccoli, and green beans, if you are space challenged. Berry Bushes – Berries are another superb high output and low work type of crop. Much like fruit trees, you can nearly plant them and forget them until it is harvest time. Planting a fruit grove and berry patch like this one will provide bushels of fresh fruit each year, with very little effort. We place our beehive inside the fruit grove to ensure the trees and bushes receive ample pollination. A beehive is also a low-maintenance food source which will provide honey that is not only sweet and tasty, but filled with a plethora of healing properties too. The simple electric fencing placed around the fruit grove and non-wild berry bushes will help keep our livestock and deer out of the growing area. The fencing, step-in posts, and solar charger took only an hour to install and cost less than $300. If you do not have the space to grow as many crops as you would like or have much of a green thumb, start digging in the dirt with others. Become a member of a public garden, these are becoming far more prevalent in both cities and the suburbs. If you live in a small town, consider starting a neighborhood garden where all interested residents share in the workload and the harvest. 1. Release beneficial insects into the garden to help get rid of unwanted little pests that will eat your crops – like ladybugs and the praying mantis. 2. Dump significant amounts of mulch into your growing plots to not only cut down on the need to pull weeds but also to help the soil around your plants to retain moisture. 3. Use companion plants to help bolster your crop yield and to curtail insect infestations that can kill your plants. Till a row around the exterior of your growing area on all sides and plant herbs that you can use for cooking and natural home remedies that also can help protect your crops from bugs. Oregano, basil, thyme, tarragon, and parsley are just a few of the many herbs that can help protect your garden without you lifting a finger. In addition to growing even a small bit of food as a part of your halfway homesteading and part-time prepper plan, you should also be stockpiling long-term storage food. This is far easier than gardening, even in containers, but is more expensive. Long-term storage food is typically made to last up to 20 years. It is sold in individual packets, buckets that last a specified number of weeks, or a group of buckets with enough food to last the certain number of people for months to years. All that is needed to prepare most types of long-term storage food is a little bit of clean hot water. • Meats – your body will need all of the protein in can get to remain healthy and have the strength to endure a long-term crisis. Most brands of long-term storage food actually taste good, we are not talking old MREs here folks – but stockpiling some of those because they are so portable and nutrient-filled, is a good idea as well. Imagine the peace of mind you will have when going to bed each night when you know there is enough shelf-stable food stacked up in the basement to prevent your loved ones from starving for weeks or even months. If space is at a premium, simply remove the individual packets and #10 cans from the long-term storage buckets and store them in cabinets or under your bed. Animals are even more work than gardening, in some respects, but well worth it. If you live in a “Right to Farm” state, odds are you can at least keep some chickens or rabbits in your backyard. Both types of small livestock are easy keepers that do not mandate constant or intrusive husbandry demands. If you leave for work early and don’t get home until late, or are hustling the kiddos to and from their various activities, you can still keep chickens, ducks, and rabbits. While you won’t likely be able to free-range, which is optimal in my personal opinion, you can still raise some of your own meat and eggs. Build or buy a small coop to house the chickens or ducks. The coop must provide a run area and a baby pool as well, if ducks will be living in the space. To cut down on chore time, purchase a large hanging waterer that you will only have to refill once, maybe twice each week. This type of waterer can hang outside of the run, allowing the livestock to quench their thirst via attach fountain wells that extend inside the cage. This type of watering set-up drastically cuts down on the need to clean and unclog the waterer. Don’t have or want to make time to feed the flock every morning? Purchase a large plastic tote and cut access holes for the flock to reach their beaks or bills inside to eat. Use a sealant to affix a PVC pipe elbow piece inside the hole for the feed to filter into slowly and to prevent it from being exposed to too much moisture. Make sure to purchase a tote that can hold at least a 30 pound bag of feed so you do not have to refill the tub more than once or twice a month, depending upon how many birds you decide to keep. The same type of watering system that is noted above for poultry flocks, can be attached to a rabbit hutch. To create a feeder that will not have to be filled more than once or twice a month, purchase a 5-gallon bucket with a firm-fitting lid and a handle to hang on the exterior of the hutch. Affix a PVC pipe elbow section to the bucket after drilling a hole to fit, so the animals can access but not spill the food or expose it to the elements. If you have a backyard and no insane regulations that must be followed, you can likely keep Pygmy or Nigerian Dwarf goats. 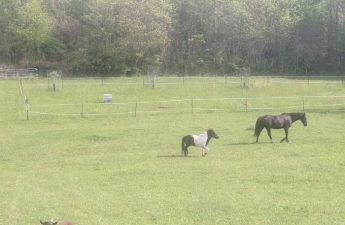 They will gladly take over your grass cutting and weed eating chores. These goats do not get any bigger than a large dog and are sometimes far less noisy. The goats can be tied out on a leash or chain to eat in various parts of your yard if the entire area around the home is not fenced. The only thing about goat keeping that could annoy your neighbors (oh how I do not miss having any neighbors) is that much lamented, “billy goat musk.” Billies have a distinct smell and tend to pass gas a lot. Think rotten pepperoni, if you really want to get an idea of the type of smell I am attempting to describe. Although all female goats (and cows) can be used for either dairy or meat, a Nigerian Dwarf goat is regarded as a dairy goat and a Pygmy goat is regarded as a meat goat. Nigerian dwarf goats generally produce approximately one and a half quarts of milk per day. Learning how to milk a goat is not difficult, nor is any expensive equipment required to engage in the practice. Simply typing a goat up on a raised platform of some type and allowing her to munch on a special snack to keep her both busy and calm, is all that is necessary to position a goat for milking. Unless you want to drink raw milk, you will need to learn how to process your own milk at home and buy the moderate amount of equipment needed to do so – expect to spend about $100 on the equipment and a few days learning how to use it. Goats are more high-maintenance that chickens, ducks, and rabbits. Their hooves will need filed and trimmed about every six weeks if they are not allowed to free range and scuff off the additional growth naturally on rocks. Once you grow or raise your own food, it must be harvested/butchered and then preserved. This is a time consuming task but is done only a few times per year. If you do not live in a rural area it is highly unlikely that you will be able to kill and butcher your own meat – at least not legally. Suburban and urban halfway homesteaders will need to engage the services of a slaughter house and butcher to harvest their meat. Such facilities are not usually difficult to find and even though fees will be required for the service, you will probably still not only save money but know you are eating humanely raised and completely healthy meat. Preserving your own food is not as difficult as you might think, it actually can be both a lot of fun and a great educational opportunity for the children. If you cannot build a backyard smokehouse or icehouse, or just do not want to make that large of a time and money investment, purchase a dehydrator. A good quality residential grade dehydrator can be purchased for $100 or less. 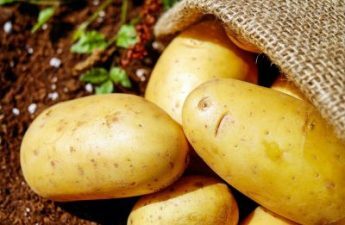 With the exception of potatoes and cheese, you can simply finely cut or chop raw fruits and vegetables, place them in the machine on the proper temperature and just wait the necessary amount of time to remove them. Once they are removed from the machine, store them in an airtight container, like a Mason jar, until you want to eat them. When stored properly, the fruit and vegetables should remain edible for at least five years – quite possibly up to 20 years. You can also use a dehydrating machine to make beef jerky and to dehydrate thinly chunked meat of all types. Using only a moderately priced home dehydrator you can make powder milk and preserve cottage cheese, and even sour cream. Both water bath and pressure canning take a lot time, but you only have to do it once a year. Once you spend approximately $150 on the necessary equipment – pressure cooker, Mason jar, lids, rings, jar lifter, lid lifter, the annual investment in preserving your food will be nominal, only additional lids and jars. Not only will you be eating the foods you grew with your own hands, you will be saving a substantial amount of money on your grocery bill. If your area experiences a natural disaster like a winter storm or flooding, your family will not go hungry thanks to your efforts. If you are laid off from work or an economic collapse occurs and creates hyperinflation, your family will not go hungry. 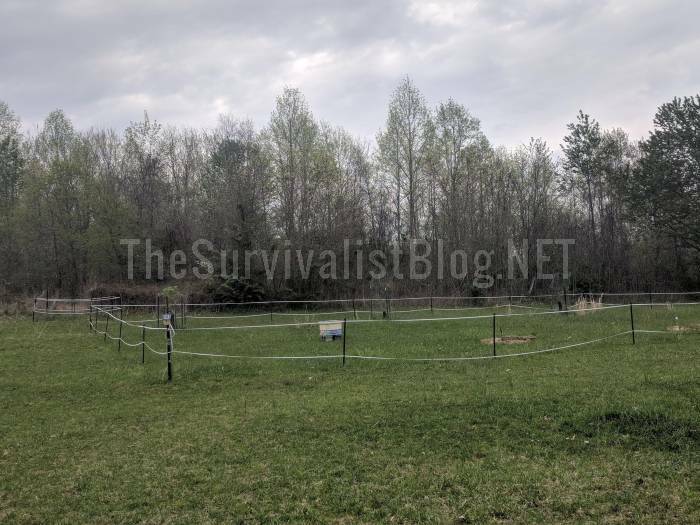 Even if you cannot see yourself as an “all in”prepper or homesteader, there are still many ways you can increase your skill set to prepare to save yourself and those you love during a SHTF scenario. Making simple lifestyle changes can help prepare you are your family for a coming disaster. The time spent bonding over a hike, fishing trip, hunting trip, day spent working in the garden together, will generate far more memories and usable skills than hours on end spend sitting indoors or attached to an electronic device of one type or another. Saving money to spend on long-term storage food and to invest in bartering materials can accumulate rather quickly if date night activities change from evenings out on the town for a movie and meal to time spent developing your halfway homestead and learning new skills together. The pride you will feel when eating what you have grown, being able to fix something yourself, and knowing the names of the trees you pass while hiking with your daughter in the woods, is monumental. Every halfway prepper should cultivate a family survival plan. Your spouse and your children need to be prepared to react in case of an emergency. How much formula and how many diapers do you need to an infant to survie if you can’t go to the grocery store for at least three weeks? Do you have a diabetic in the family, if so, how much medicine do you have on hand and how will you keep it cool in the power goes out for an extended period of time? No, you do not need to wake your children up at 3 in the morning for a winter run in the snow, uphill, and on an empty stomach to teach them self-reliance skills. Train yoursel and your loved ones how to react to an emergecny situation to avoid a panicked – and possible deadly, response. This is perhaps the most important part of your decision to become a halfway prepper. As children we all grew up participating in fire drills and tornado drills at school. Think of your family survival plan as an extension of that concept. If you shout a code word or phrase to indicate a threat is approaching or a disasater is happening, your family needs to react without questioning your instructions or hesitation. Does this sound a bit militaristic and over-the-top prepper to you? Well, it shouldn’t. If you were stanidng in the kitchen and shouted “Fire!” to your loved ones watching television in the living room or shouted, “Tornado!” while running into your home from the outside, you would expect precisely the same response. 1. Emergency communication protocol – even if you cannot make phone calls during a disaster, a text or email still might be able to go through. Purchase handheld radios to use for backup communicatons and make sure everyone has pen and paper in their pocket, purse, or backpack so notes can be left at designated locations if all else ails. 2. How to find their way home from work, school, or other frequently visited places if traveling their normal route, or by car at all, is not possible. 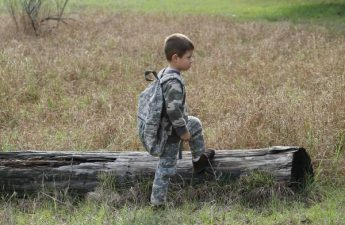 Learn mulitple ways to get home to increase your chances of survival. 7. Rally points for meeting if the family is separated when disaster strikes – including on your own property or closely nearby if the home must be rapidly vacated for safety reasons. 8. How to cook food by non-conventional means – over an open flame, on a camping stove, on a grill, in a solar oven, or even on top of a wood stove. 9. Self-defense – teach your loved ones how to defend themselves by any age appropriate means necessary – physical fighting, firearms, knife, and bow, etc. 10. Food – teach your loved ones how to find food in the natural environment during all four seasons. Remember, in some neighborhoods, towns, and cities, edible weeds and flowers may be sprayed with chemical pesticides. The more your children and spouse now, the more their chances of survival increases. Learning what to do can be fun and happen over over time. Start going camping, real camping not “glamping.” Sign the children up for 4-H and/or scouts and volunteer as a group or troop helper so you can learn more essential self-reliance skills together. Volunteer together as a couple or a family at the local farmer’s market, livestock veterinarian’s office, or go visit a working farm together, I can almost guarantee you that you will be inspired to delve even more deeply into your growing skill set. If you are prepared, you won’t be scared. Sure, that sounds like a bit of corny survival poetry, but it is true. 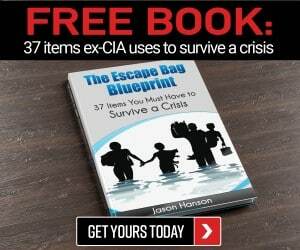 It is only human nature to be frightened of the unknown or dangerous, but if you have prepared and been equipped with the tools and skills necessary to protect yourself, you will not be scared to a degree that causes you to panic, lose control, and fail to comprehend and cope with what is going on around you. Everyday carry items can literally be toted around on your person and/or carried in a vehicle trunk, purse, brief case, or backpack. It is also a good idea to keep some EDC items in your desk or locker at work. 3. IFAK – an indiviual first aid kit. Pack some lightweight and essential items like a tourniquet , QuikClot bandages, small bandgaes, triple-antibiotic ointment, wound wash, burn cream, and pain relief medication. If you rely on prescription medication for a serious or chronic condition, never leave the house without at least a 3-day supply. 4. Solar Cell Phone Charger – Keepign your phone charged will allow you to not only have access to a means of communication, but important identification documents you can snap photos of, GPS or mapping apps, downloaded ebooks that can help you forage, etc. 5. Cash, Gold, and/or Silver – If the power grid fails or some other type of SHTF disaster temporarly interrupts electrical service, you will only have access to what is in your pocket to get you home or buy any essential items you are not carrying with your at the time disaster strikes. 6. Emergency Mylar Blanket – These are small enough to slip into a coat pocket and can be used to keep you warm enough to stave off frostbite and hypothermia if you have to sleep in your car, outdoors, or to help prevent shock from setting in if you are injured during the start of the disaster. 7. Paracord – This sturdy little cord could come in handy for a whole host of reasosn. Paracord bracelets, belts, and even pony tail holders are readily available online for a nominal price. 8. Water Purification – Pack a lifestraw and/or water purification tablets in your purse, car, backpack, etc. The human body can go far longer without food than it can water. 9. Shelf-Stable Snack – Purchase some long-term storage meals in single packets to keep in your vehicle and/or buy fairly stable as well as small and lightweight high-protein snacks to keep in your desk, locker, purse, and childrens’ bacpacks – granola bar, SlimJim, beef jerky, etc. 10. Matches/Lighter – Purchase “waterproof” matchers and several lighters to keep on your person or nearby at all times. Invest a few dollars in quality lighters designed to light even in windy conditions. If you have a concealed carry permit, it should go without saying to always pack extra ammunition and a simple gun cleaning and repair kit in your vehicle, as well. If you do not have your CCW yet, consider getting it ASAP and until then, learn how to legally open carry handguns and how to legally transport a rifle, in your area. Once you take that important first step towards homesteading and prepping, I believe you will see clearly how fully immersing yourself into a self-reliance lifestyle does not control your life…it enhances it.